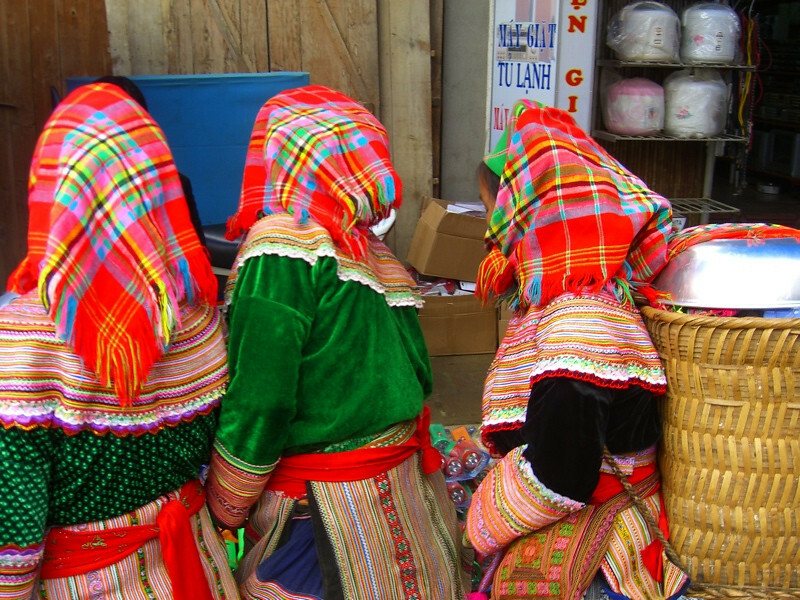 Most of the women at Bac Ha market are from the Flower Hmong ethnic group. As seen in this photo, they dress in colorful head scarves and beautifully embroiderd skirts and tops. Since it is wintertime, a heavier fabric (like velvet) is worn on top while in the warmer months they wear lighter fabrics.